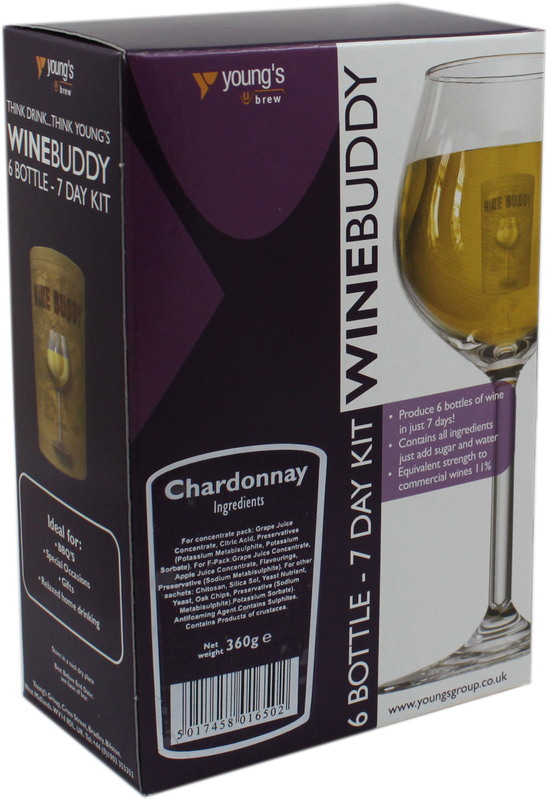 All wine kits include easy to follow detailed instructions. 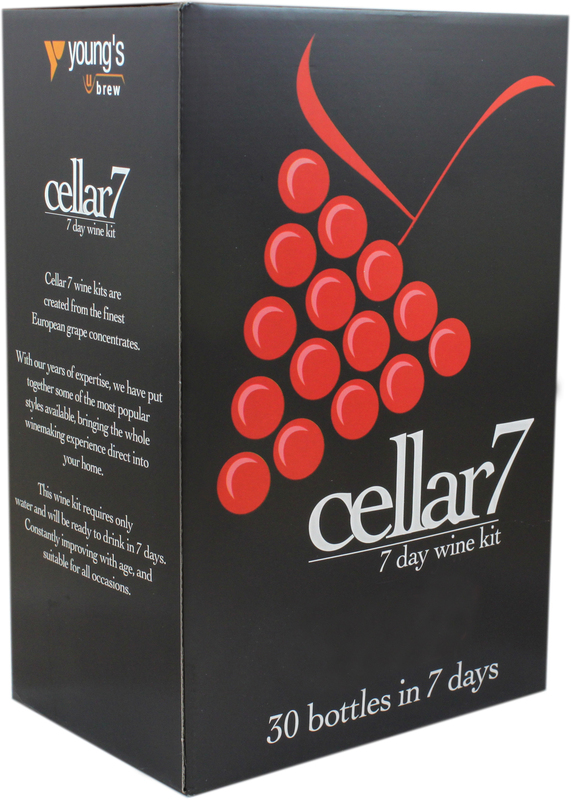 It has never been easier to produce quality wines in your own home. Kits make 6 or 30 bottles consisting of quality ingredients giving you superb results every time. Please ensure you carefully read your wine kit instructions before starting your wine. It's also a good idea to double check your kit contents before starting. We cannot stress enough how important it is to thoroughly sterilse all equipment before use. We recommend using Young's Cleaner / Steriliser. Empty the juice into the fermenter / vessel. Your kit instructions will advise the required amount of water, we recommend you add 50 / 50 - Hot ( not boiling ) / Cold, adding hot first and stirring thoroughly. If your kit requires sugar - use the hot water to help dissolve it. After making sure the Juice / Water / Sugar is thoroughly mixed, use your Hydrometer and take a note of the reading. This will not only make sure you have thoroughly mixed but will help you determine your alcohol content at the end. Add the Yeast / Bentonite and ensure the fermenter lid is tightly closed, fit the bung and airlock (containing water). Fermentation should start within 48 hours. This is shown by bubbles passing through the airlock. A constant temperature will produce a more stable fermentation. Temperature variations may effect fermentation. When the "bubbles" have stopped or slowed in the airlock, check wine has finished using your Hydrometer. You can also taste the wine at this stage to see if it suits your palate. As a guide, this is how your wine will taste. In order to work out your alcohol content, take your starting gravity minus ( - ) your finishing gravity and divide by 7.41. As an example - 1.090 - 1.000 = 90 Divide 90 by 7.41 = 12.14% ABV. Once the wine has finished add the stabiliser and "De Gas". De Gassing the wine is a simple process of removing the Co2 from the wine. Either stir or shake the wine, a "foamy head" will appear. Repeat this during the day over 2-3 days until all the foam has nearly all gone. De Gassing also helps with clearing. You will then add the finings, after around a week your wine should be crystal clear & ready for bottling / dispensing. 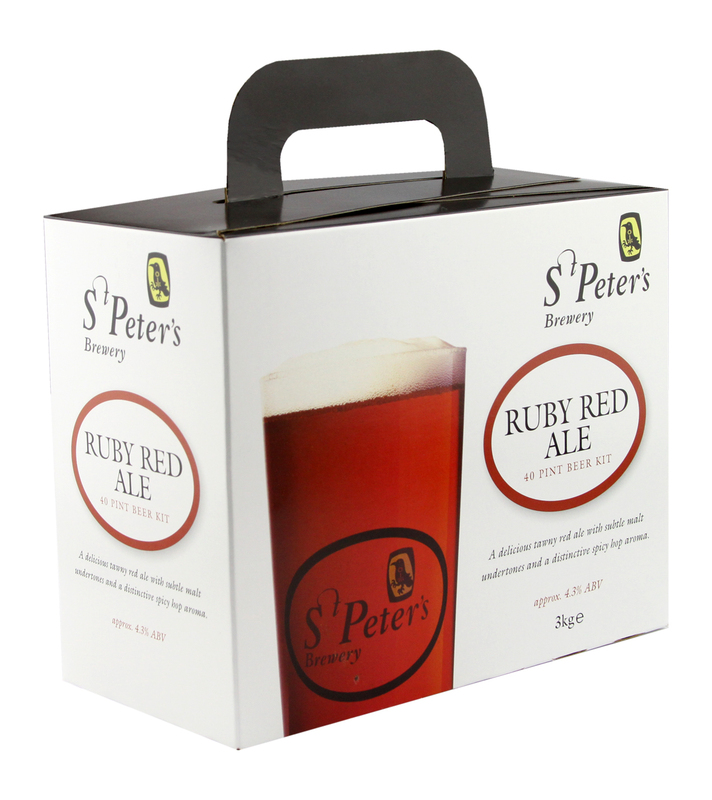 All beer kits include easy to follow detailed instructions. 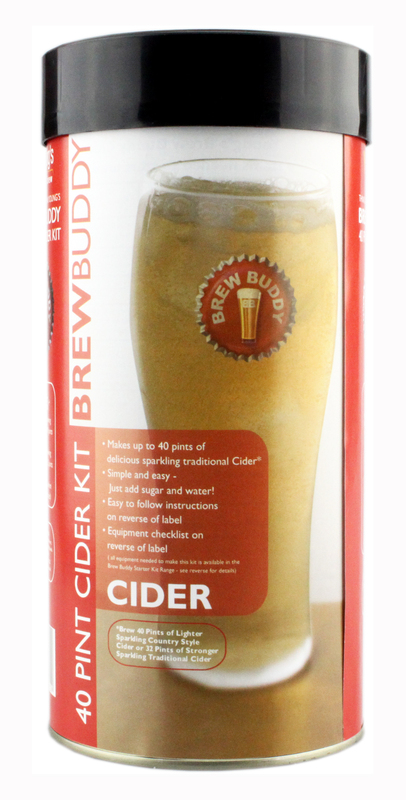 It has never been easier to brew your own beer. 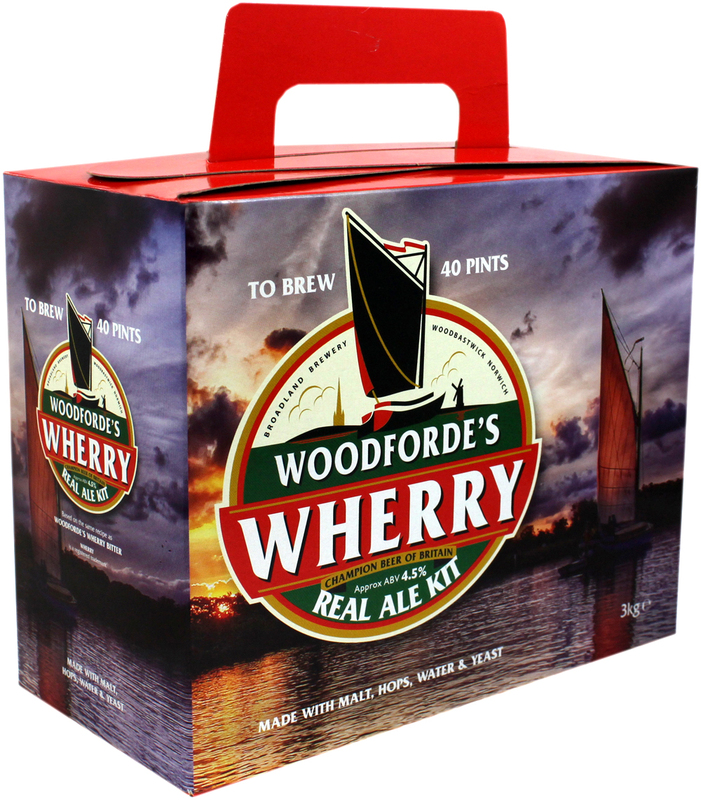 Using the finest quality ingredients, malt, hops and yeast to give you a great pint time and time again. 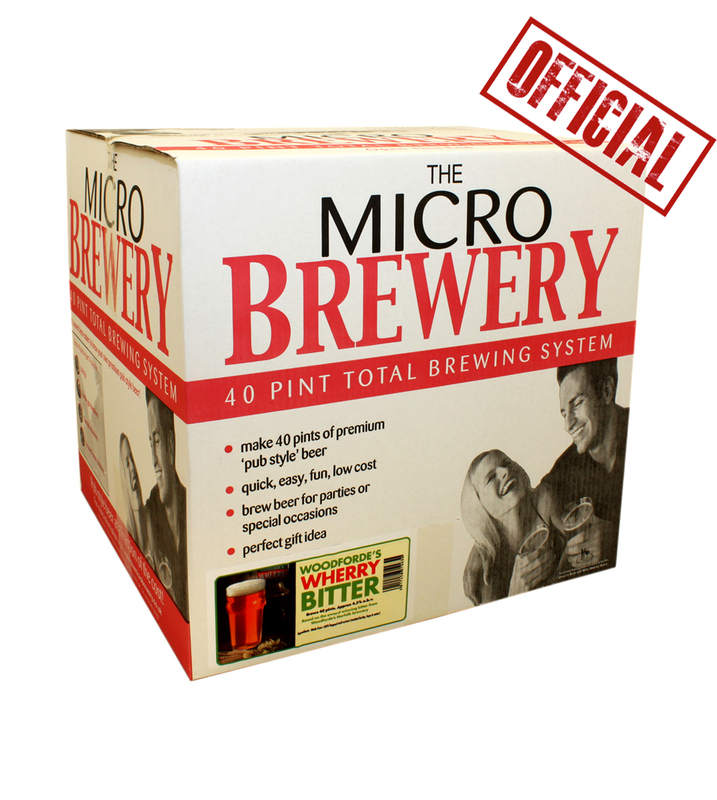 Please ensure you carefully read your beer kit instructions before starting your beer kit. It may help to remove the lid, stand the can / pouch in hot (not boiling) water for up to 5 minutes, to help loosen up the malt to help pouring. Empty the malt into the vessel. Your kit instructions will advise the required amount of water, we recommend you add 50 / 50 - Hot ( not boiling ) / Cold, adding hot first and stirring thoroughly. After making sure the Malt / Water / Sugar is thoroughly mixed, use your Hydrometer and take a note of the reading. This will not only make sure you have thoroughly mixed but will help you determine your alcohol content at the end. Add the Yeast / Hops and ensure the fermenter lid is tightly closed, fit the bung and airlock (containing water). Fermentation should start within 48 hours. This is shown by bubbles passing through the airlock. When the "bubbles" have stopped or slowed in the airlock, check the beer has finished using your Hydrometer. Refer to your beer kit instructions as this will tell you when the specific gravity of when you can Barrel / bottle your beer. As an example - 1.0400 - 1.0100 = 30 Divide 30 by 7.41 = 4.05% ABV. Once the beer has finished you then need to prime the beer, some will recommend half a tea spoon per bottle or around 80grams for a Barrel. The easiest way we find is to "bulk prime". Simply transfer your beer into another sterilised vessel, add the full amount of sugar, mix thoroughly stiring well. This ensures that the sugar is equally dissolved in all of the wort. Beer finings may also be added at this stage should you wish. If transfering the wort into a Barrel (sterilised), make sure the "cap o'ring" has a smear of Vaseline to ensure an air tight seal. Its also a good idea to check the tap to make sure it is tight. If ottling ensure you leave a little head room for the Co2 to form. Leave for around 2 weeks. This will give the beer time to carbonate and clear. The information contained in this website is for general information purposes only. The information is provided by Young's Home Brew Limited and while we endeavour to keep the information up to date and correct, we make no representations or warranties of any kind, express or implied, about the completeness, accuracy, reliability, suitability or availability with respect to the website or the information, products, services, or related graphics contained on the website for any purpose. Any reliance you place on such information is therefore strictly at your own risk. 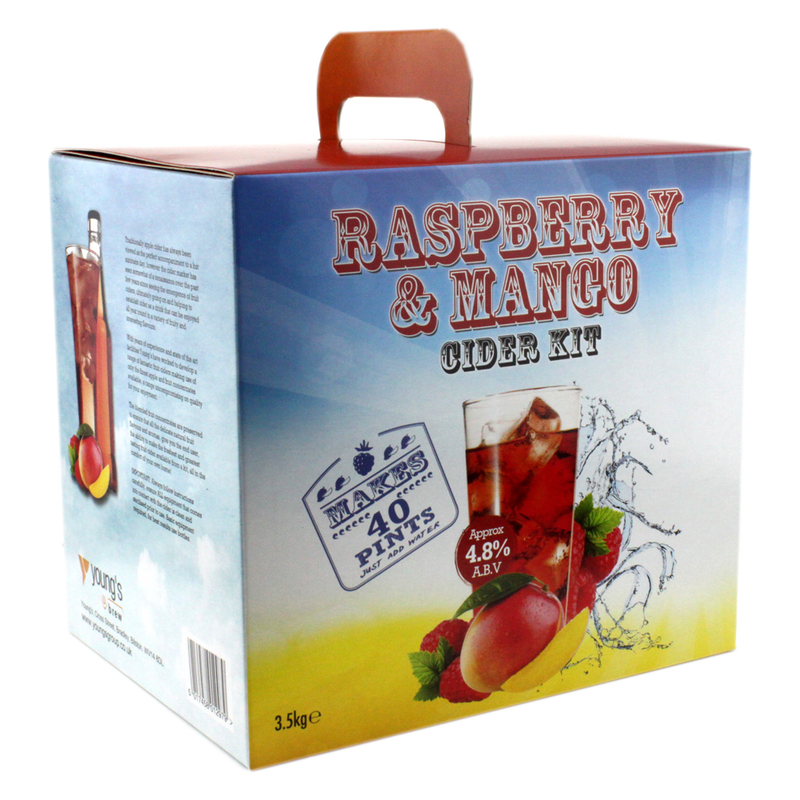 Through this website you are able to link to other websites which are not under the control of Young's Home Brew Limited. We have no control over the nature, content and availability of those sites. The inclusion of any links does not necessarily imply a recommendation or endorse the views expressed within them. Every effort is made to keep the website up and running smoothly. However, Young's Home Brew Limited takes no responsibility for, and will not be liable for, the website being temporarily unavailable due to technical issues beyond our control. Young's Home Brew Limited is committed to ensuring that your privacy is protected. Should we ask you to provide certain information by which you can be identified when using this website, then you can be assured that it will only be used in accordance with this privacy statement. 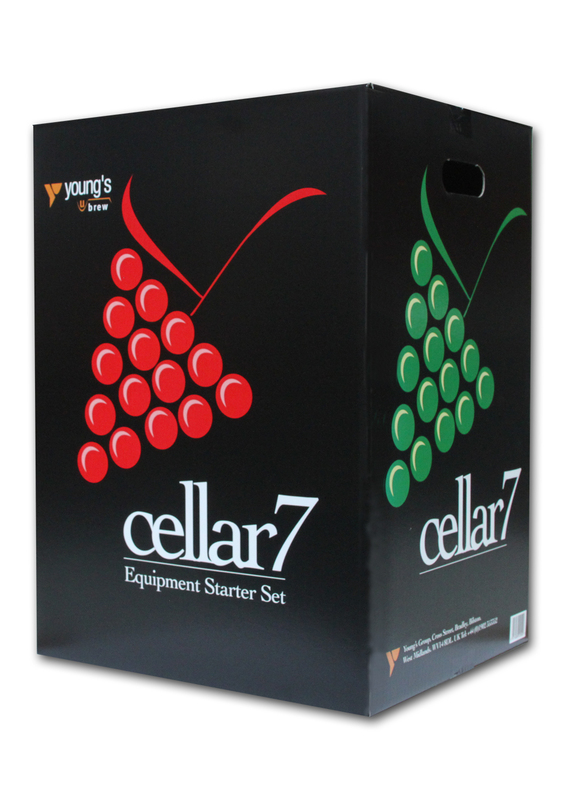 Young's Home Brew Limited may change this policy from time to time by updating this page. You should check this page from time to time to ensure that you are happy with any changes. Young's Home Brew Limited aims to make our website accessible and usable by people of all abilities and disabilities, including those with visual, hearing, cognitive or motor impairments. This section offers advice that we give to the most frequently asked Beer & Wine making questions. If you have mislaid your kit instructions, please click here. If you need further help or assistance please contact us us directly. Q. Why is cleaning and sterilisation so important? A high % of winemaking and beer making failures can be traced to lapse in cleaning and sterilisation. Cleaning means removing visible dirt and residue from your equipment, sterilising means treating your equipment with a chemical that will eliminate or prevent the growth of spoilage organisms. Everything that comes into contact with your wine or beer must be clean and properly sterilised. This means your fermenting vessel, but also syphon’s, airlocks, bungs, thermometers and hydrometers. Remember that one single lapse could result in a failure for your beer or wine. Q. My wine won’t ferment? If you have added the yeast according to the kit instructions, you should see activity within 48 hours. Bubbles should be passing through the airlock fitted to your fermenting vessel, or if there is no airlock, you should see a healthy ‘pancake’ of yeast developing on the surface of the ‘must’. If not, the first thing you should do is to confirm your suspicions. Take a specific gravity (SG) reading using a hydrometer. Hopefully you took a reading when you made the kit up and you can compare subsequent readings. If the second reading shows a drop from the original, it confirms that the wine is fermenting. If it remains the same as the original, it proves that your suspicions are correct. If you did not take, an original reading then take a couple of readings over 24-36hrs. These will also confirm what is happening. Sometimes yeast can work with very little visible signs of fermentation or there could just be an ineffective seal on your fermenting vessel? Having confirmed there is no fermentation, what next? Have you actually put the yeast in? It’s possible; with everything going on around you that you forgot it? Check the packaging that came with your kit. Is the yeast still in there? If so, then get the yeast in immediately. Yeast is a living organism and if it is subjected to adverse conditions, such as heat or damp, it can very quickly become inactive. Unfortunately, this is only realised when we come to use it. Is the environment where we are making the wine suitable? Kit wines are designed to ferment at room temperature but it is critical that the ‘must’ is not allowed to get too hot or too cold. Usually 18C – 25C is fine. Try to keep the temperature fairly constant as fluctuating temperatures might affect the ferment? Avoid putting the fermenting vessel by a radiator. In colder temperatures, consider using an external heat source such as a Young’s heater belt or pad to keep the ‘must’ warm. If you have added the yeast and are confident that the temperature is alright but the ‘must’ is still not fermenting then let’s eliminate some other possibilities. When you sterilised your winemaking equipment you would probably have used a proprietary brand of cleanser. Most of these include some sort of fermentation inhibitor as part of their make up. This is why it is important that you thoroughly rinse all equipment with cold water before use. 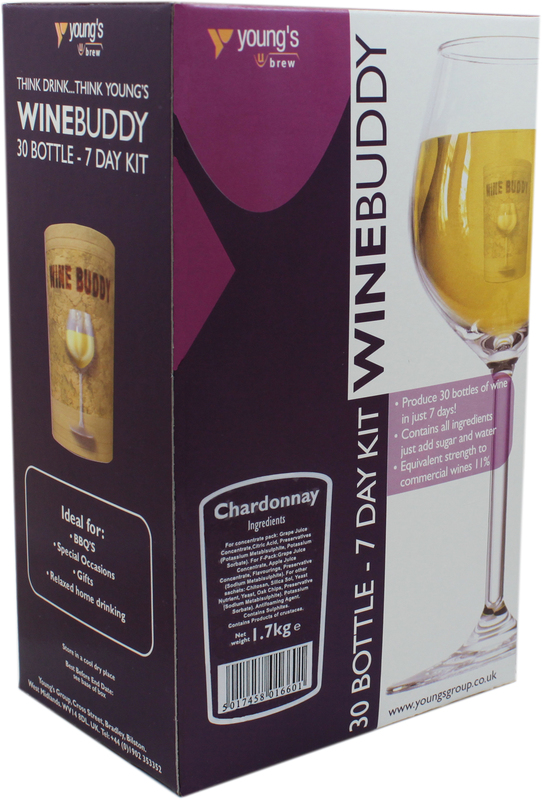 Could you have added the wine stabiliser (Sorbate) that would probably have come with your kit in error? Check all the sachets that you have left. Is the stabiliser still there? If it is that you add additional sugar initially, did you ensure that this sugar was fully dissolved? Sugar can clog the yeast cells and inhibit fermentation. Contamination by ‘spoilage’ organisms. This is probably unlikely but have a smell and a taste of the wine. Can you detect anything that is ‘off’? When you have a wine that is not fermenting, you need to get it going as soon as possible. 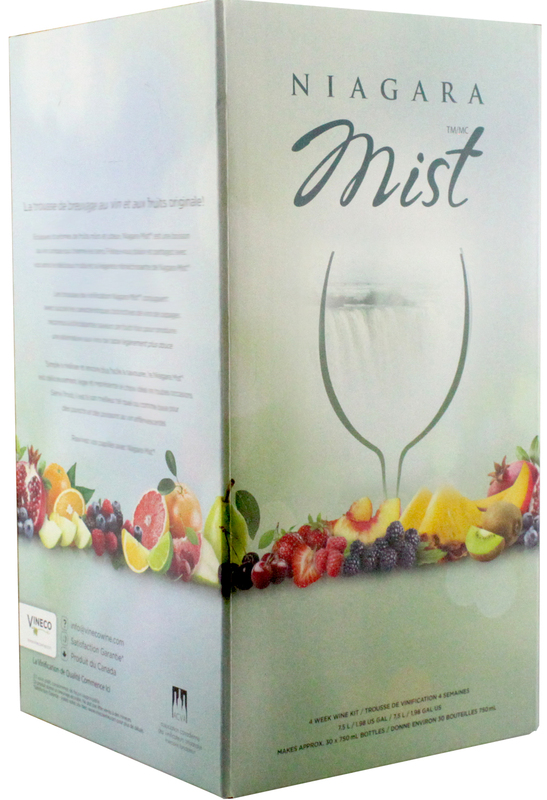 The unprotected sweet grape juice is an ideal medium for the growth of all sorts of bacteria. However, if you can identify the cause within the first four days you can probably get it going without repercussion. To do this you need to measure and record the S.G before fermentation starts (the initial gravity). Once you have these two readings subtract the final gravity from the initial gravity and divide the result by a number, which is based on the initial gravity (see below for table) to obtain the alcohol strength of the wine. 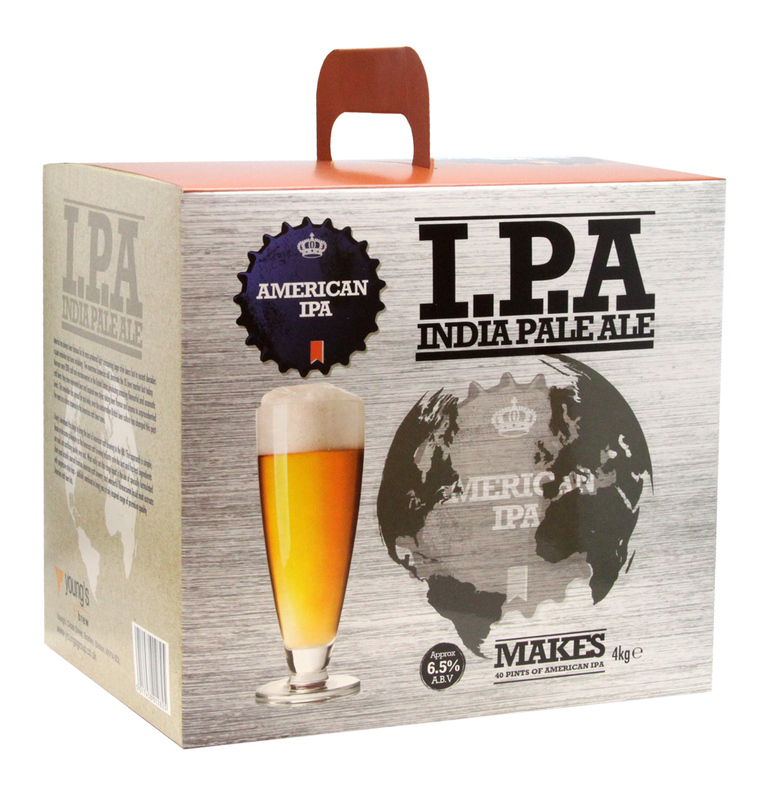 DIVIDE BY 7.41 = 12.14% ALCOHOL BY VOLUME. Sometimes fermentation stops prematurely. This is referred to as a ‘stuck’ ferment. There are different reasons why this might occur. 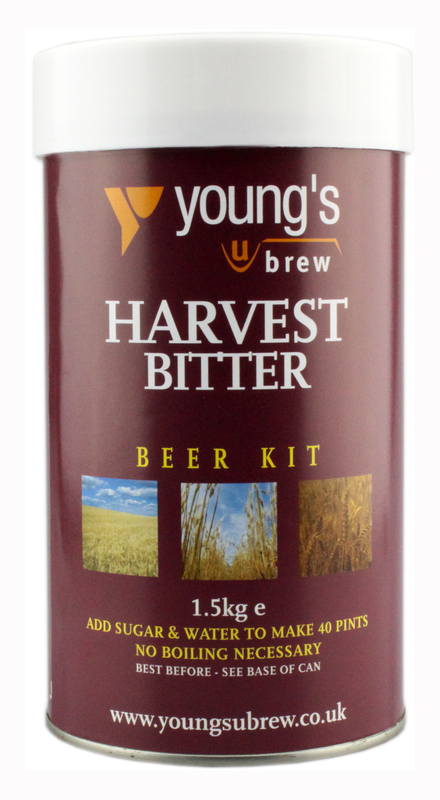 The Youngs range of yeasts includes re-start yeast, which is available in a handy, inexpensive 5grm sachet. Champagne / Sparkling wine yeasts also are effective. The suggested method of re-starting a wine is by breaking down the wine ‘must’. Remember that a combination of grape juice/sugar/water will produce fermentation, provided that the yeast used is viable. If fermentation is not evident or has started and ceased prematurely this is not the fault of the wine kit. The cause could be down either to the ‘winemaking skills’ of the maker or the environment in which the wine is being made. When fermentation is not apparent do not assume that the wine is not fermenting. Taking SG readings over a period of perhaps 24 hours will either confirm your suspicions or show that fermentation is underway. Q. Why does my wine have an “off” taste or smell? The wine might have a bacterial infection due to the improper sterilisation of your equipment. It is important that everything that is exposed to the wine is sterilised well. Young’s steriliser is specially formulated to do the job. All equipment should be periodically replaced. The wine might taste yeasty, it needs time to mature. The wine has a smell of carbon dioxide gas. This is one of the gases produced during the fermentation process and is why de gassing is very important once fermentation is complete. The more gas removed the wine will be cleaner and crispier tasting. The wine tastes musty. It is probable that the wine has been left too long on the lee’s (debris) at the end of fermentation. Rack it off the sediment once fermentation is complete. Once it has cleared, bottle it. The wine tastes like water from the swimming pool. This is cork infection and the wine needs discarding. The taste / smell of pear drop, vinegar or tarty? Usually indicates that the wine has acetified. Alcohol has been converted into acetic acid due to bacterial contamination. Q. My finished wine is cloudy and I cannot get it to clear? 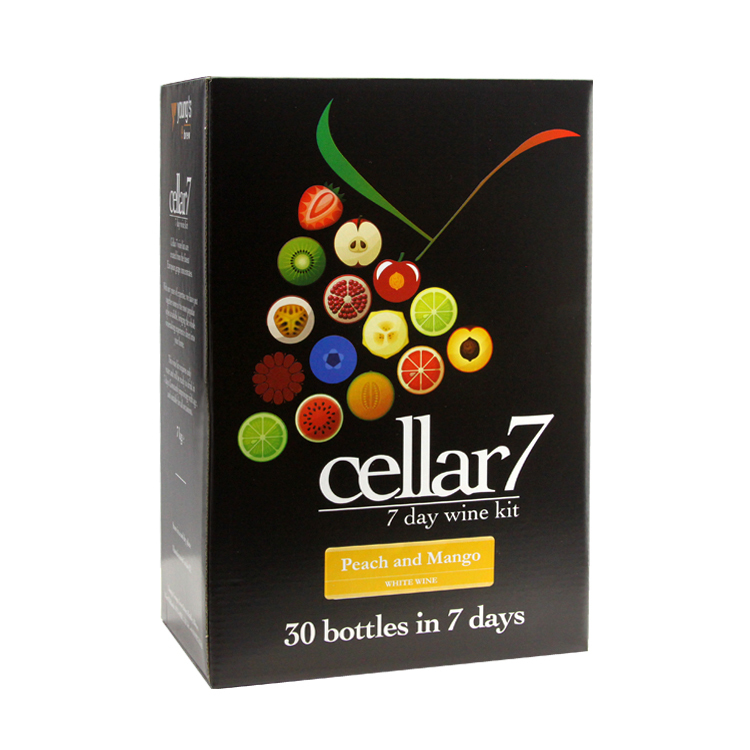 Kit wines are usually easier to clear than wines made from fresh ingredients where there are more ‘specific’ factors, which influence the clearing. 1. The wine must have stopped fermenting. 2. The wine must be free from bacterial contamination. 3. The wine must be in the right environment. The addition of fermentation stopper / stabiliser should ensure that the wine is not fermenting. Tasting and smelling the wine will detect signs of ‘off’ flavours and smells. Putting the wine in a COOL environment where the temperature remains constant should allow it to clear. The addition of a ‘fining’ agent will usually help speed up the clearing process. Sometimes extra finings might be needed, however, it is important not to over fine as this could lead to a permanent haze. De-gassing a wine at the end of fermentation helps. The more residual gas that you can get out of suspension the better. You will end up with a cleaner, crisper wine. ‘Racking’ wine from one container to another is also helpful. Sometimes when you cannot get the wine to clear all that is needed is a change of location. Experience shows that in a good percentage of cases the wine is simply being stored in an environment not suitable for clearing. Q. Can I re-fine my wine if it won't clear? From the onset you should use enzyme treatment, depending on the recipe make up. Doing this your wine should clear sufficiently when finished and there should be no need to use finings. A fine sediment will also form once the wine is bottled and ‘laid down’ to mature. Similarly, if you blend two wines it will most likely cause sediment to form. 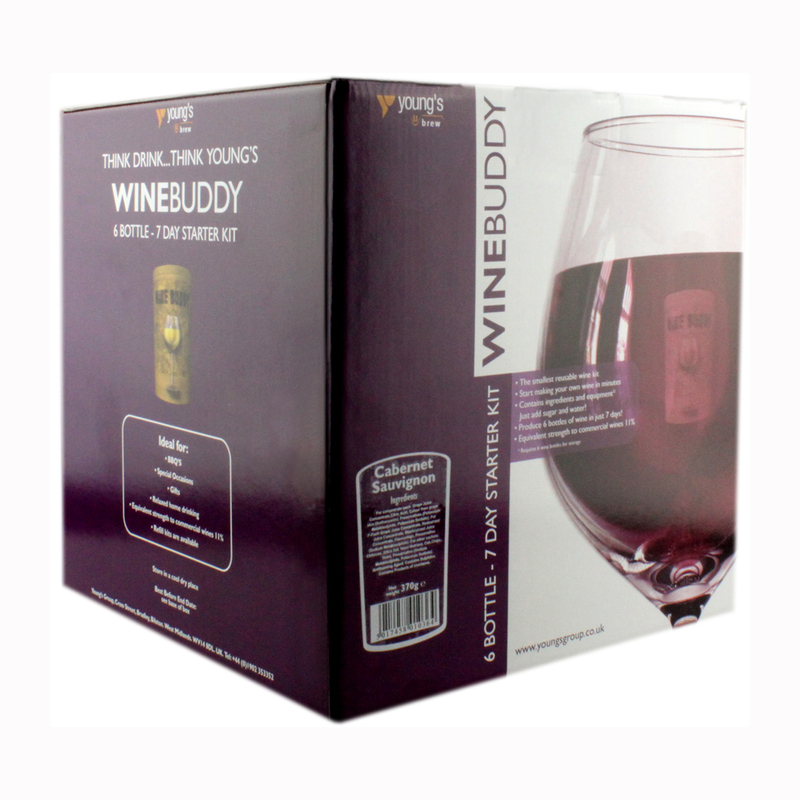 In these cases you might need to re-fine your wine if it is hazy and sediment is forming. We would not recommend fining a wine more than twice and only then after other treatments have failed. It would also be a good idea to put the wine through a filter. Q. Why does my beer go cloudy when I put it in the fridge? 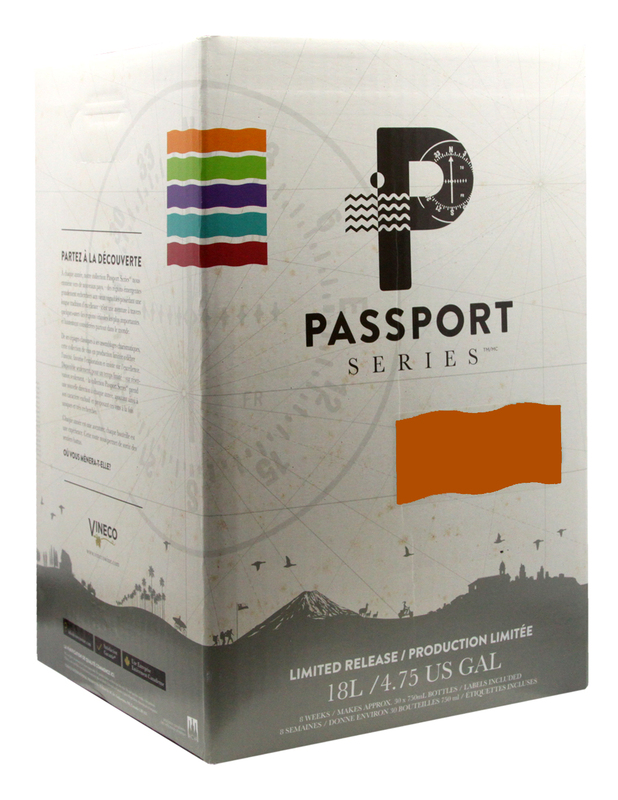 Beers that are cooled to below temperatures at which they are matured will develop a haze. This is due to globulins and tannins, which form colloidal solutions at this point. As the beer warms up, the haze will disappear. Globulins are proteins that are present in the malt. Tannins are a group of phenol based plant acids, which play some part in the taste of hops and the clearing of the beer. Commercially tannins are added to beer in order to prevent chill haze. "De gassing" is a process when the wine is ready for fining. 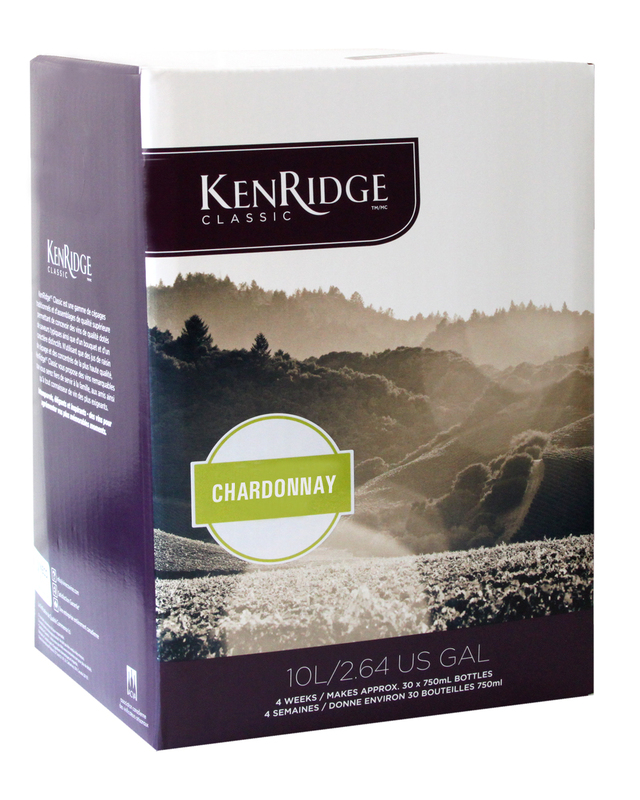 When it comes time to stabilize and fine the wine, it has to be stirred vigorously enough to drive off all of the CO2 that has accumulated during fermentation, this process is known as degassing. There are two ways to de-gas the wine either by stirring / agitating vigorously or using a “Degasser”. This is because the dissolved gas will attach to the fining agents, preventing them from settling out. You need to stir hard enough to make the wine foam, and keep stirring until it will no longer foam. Only then will the gas be driven off so the fining agents can work their magic. The Degasser tool is easy to use as all you have to do is put the tool into a drill on the lowest speed setting and pull the trigger. This turns the blade’s on the Degasser and causes the Co2 foam to rise to the surface. Repeat this a few times over a few day. Q. My wine is too dry. How can I sweeten it after its finished fermenting? 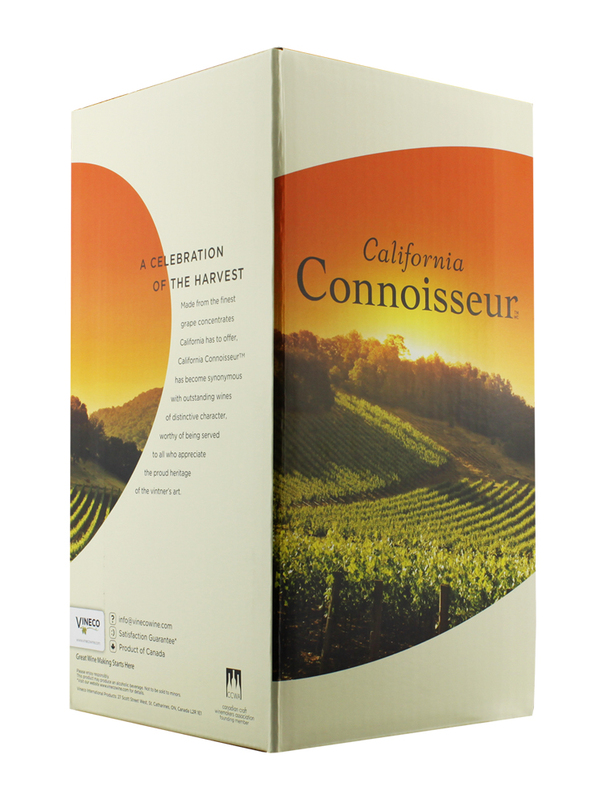 Once fermentation is complete, you can sweeten the wine by adding sugar or a wine sweetener. Remember that once the wine has been stopped any sugar added can not be removed. Be careful not to over sweeten. The best thing is to add a little, and taste. Sorbate prevents the growth of yeast cells and usually added after fermentation to stabilise wine, especially wine that contains some residual sugars. 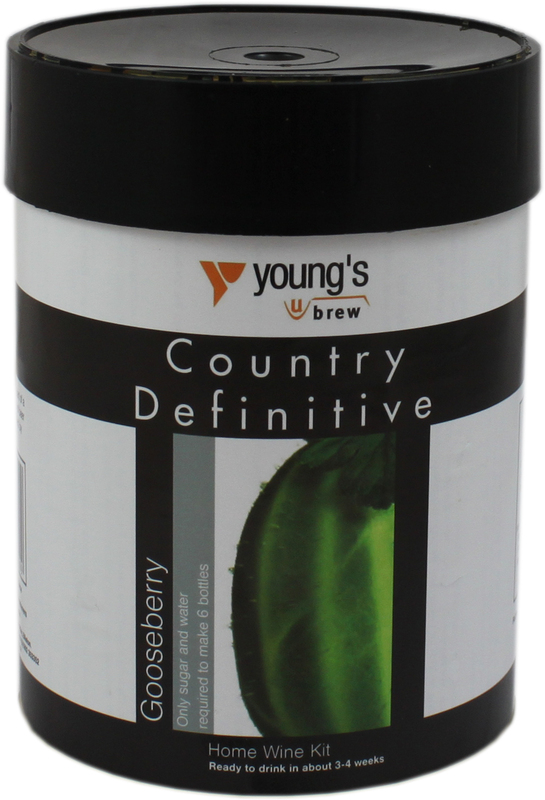 If added before putting in the yeast it is likely that the yeast cells will not be able to grow sufficiently. 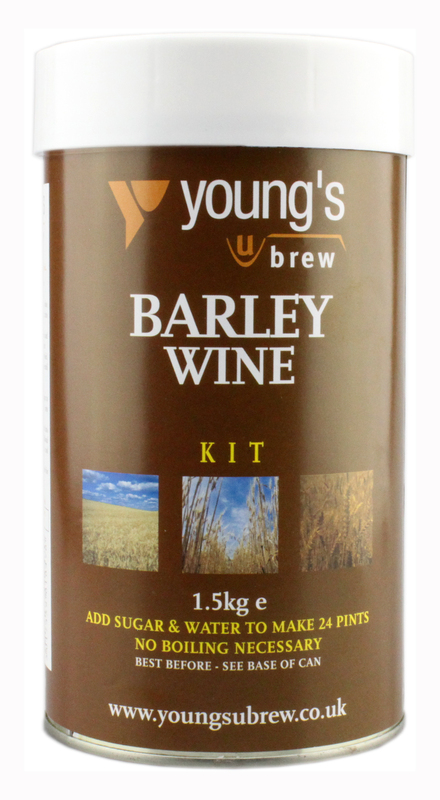 Adding more yeast is a good idea but only if you can get hold of an actively fermenting yeast. 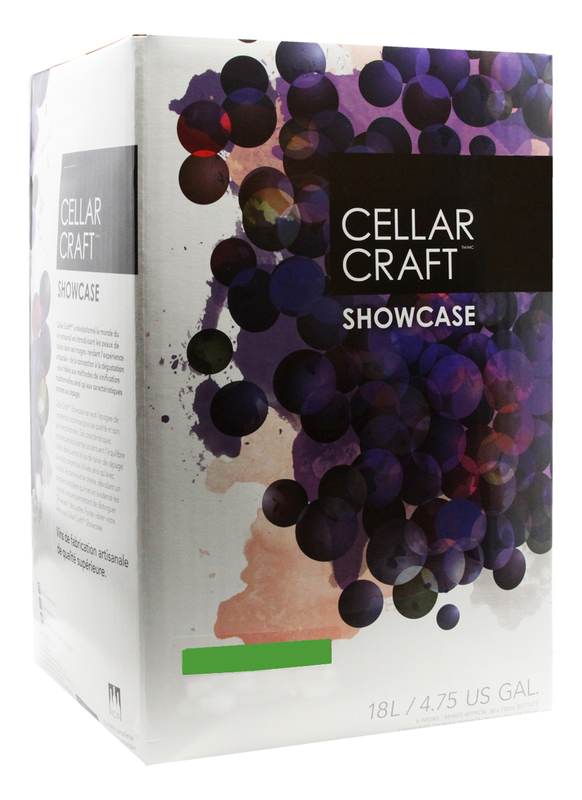 Yeast from another fermenting wine, or yeast grown in a small culture may work. Q. My wine is brown and does not taste good? This is probably caused by oxidation, which results in the wine being exposed to the air for a period. Q. Why is my beer flat with no “fizz”? There are several possible explanations for this. The beer might have been left too long in the primary fermenting vessel. Once the beer is finished it should be transferred into bottles / barrel within 24 hours. 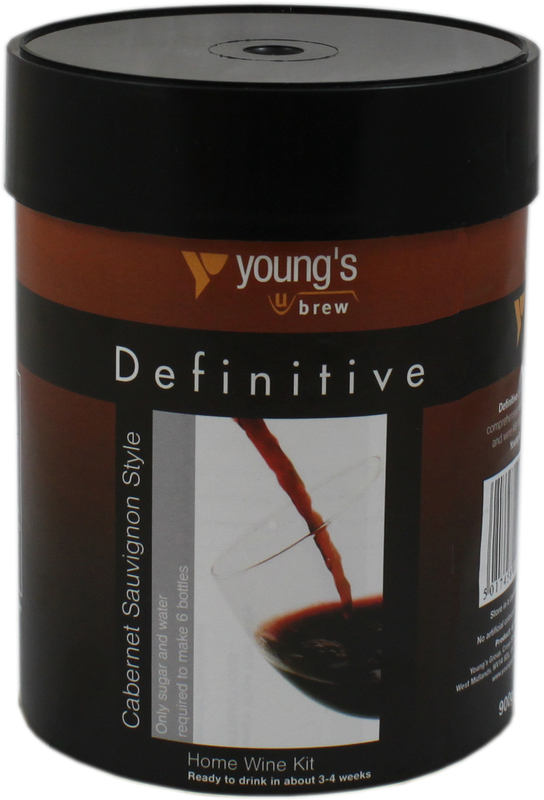 This is to ensure that there are sufficient yeast cells in suspension to permit secondary fermentation. Bottle caps or a cap injector may be failing to hold pressure. Insufficient priming sugar is used or the sugar is not fully dissolved when added to the bottles or barrel. Residual sterilising agents may have spoilt the head on the beer? This is why you should always make sure that you thoroughly rinse all brewing equipment after sterilising. Wine should be left laid down in a cool dark place. It should be served slowly, giving it plenty of time and room to breath the air. Q. How long will my beer keep? As a general rule, beers should keep for several months but it is not unknown for a beer kept in ideal conditions to last a lot longer. Q. I have difficulty with getting my corks into the bottles. What is the best method of corking? Invariably when we are asked this question we find that the winemaker is using a 'hand corker,' a cheap, simple tool where the cork is inserted into the bottle using pressure applied with the palm of the user's hand. This method of corking is usually fine when using corks that have been pre-soaked to make them supple. However, it is not 100% effective. There are many different makes of corker available, most are relatively inexpensive and if used correctly, will last many years. Young's always recommend the use of a 2-handled or a 3-lever type of corker. These are readily available in the shops and provide a much more reliable method of producing an effective seal. For a few pounds more you can get a floor standing type of corker, which will take even commercial size corks. In order to ensure a good seal in the bottleneck the diameter of the cork is important. Commercial applications use a 24mm diameter. However, to facilitate the use of hand corking machines in the home brew market, this diameter has been reduced to 22mm. We know that some type of hand corkers are still inadequate at the 22mm diameter and can only provide enough insertion force with extreme difficulty by the operator. This is why Young's recommend the 2-handled / 3-lever type. Q. I have some corks, which say, "Do not soak". What would happen if they were soaked? a) Too much silicone used could result in the cork coming back out of the bottle due to the reduced friction. 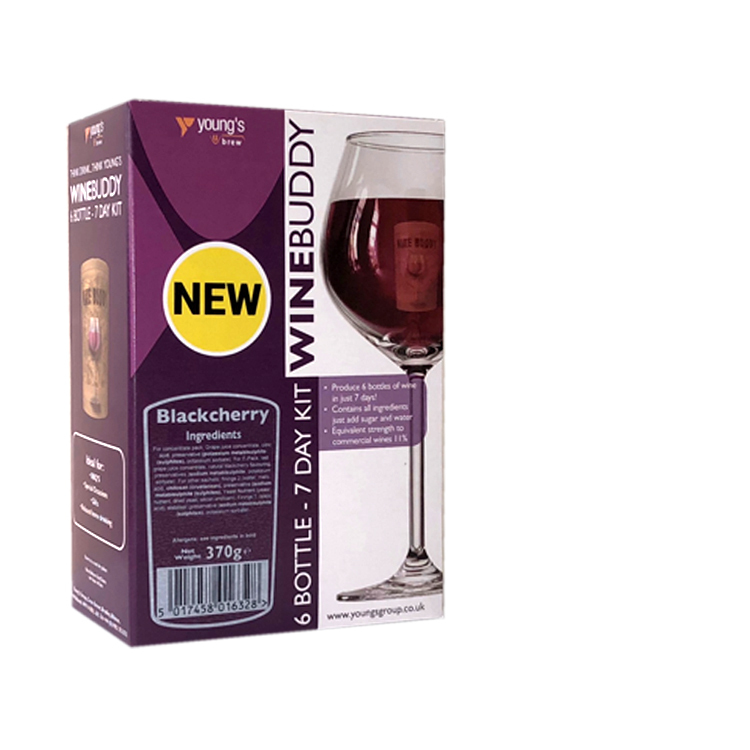 b) Too little silicone used and the cork becomes too difficult to insert into the bottle. Treated corks undergo a deep cleansing process and are safe to use direct from the packet. There is no need for sterilising before use. Q. My starting gravity seems lower than expected? Okay, there are 3 things which are the likely cause. 1. Adding too much water. If you have added the correct amount of water then this will not be the problem. 2. Not stirring after adding all the water. This will leave all the sugars at the bottom of the fermenter which will cause the gravity to be low at the top. 3. Measuring the gravity when the pre fermented wort is too cool. Hydrometers are calibrated at a set temp, usually 20c so if you measure the gravity and the wort is cooler or hotter than this then this will affect the result as liquids become less dense at warmer temperatures. It's more than likely that one of these is the cause. Q. What temperature should I ferment at? 18 -22 c is the ideal temperature range. Most households will be at around this but if you location is cooler then you may need a heater. Q. How do I know my beer is fermenting? When the beer starts to ferment a thick foam will normally form on the top. This is quite normal and will protect the beer during fermentation. This should form within 24 hrs of the yeast being added. If nothing has happened within this time you may need to check the temperature of the room as it may be too cold. If the temperature is okay, leave for a bit more time. If nothing has happened after 48 hours then you may need to add yeast nutrient but have patience before taking this step. The foam should die down after a couple of days, after which you should take a hydrometer reading. Bottle or barrel when the hydrometer readings have remained stable for a couple of days.